In this series, we take a look at three of Piedmont’s most fascinating and diverse wine regions by exploring what this historic and traditional corner of the wine world looks like today, and highlighting some of the off-the-beaten-track producers quietly shaping the region’s future. 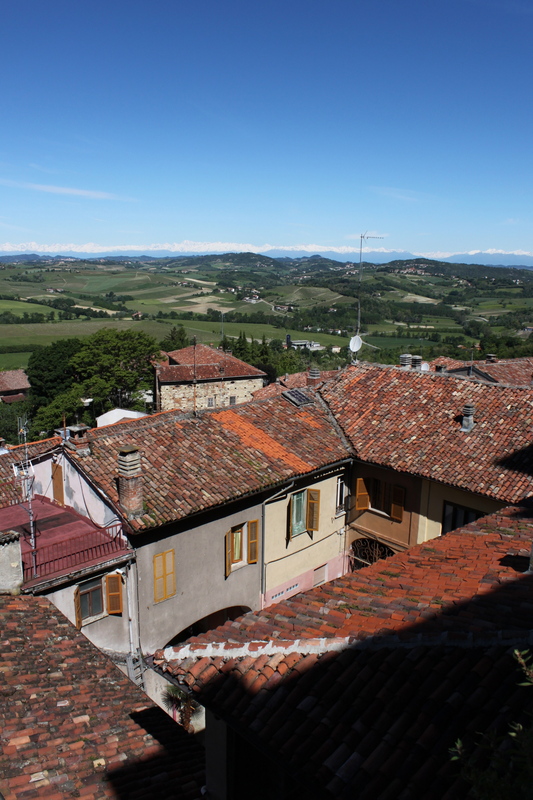 In this, the second part of the series, we dive into the dizzying world of Monferrato. 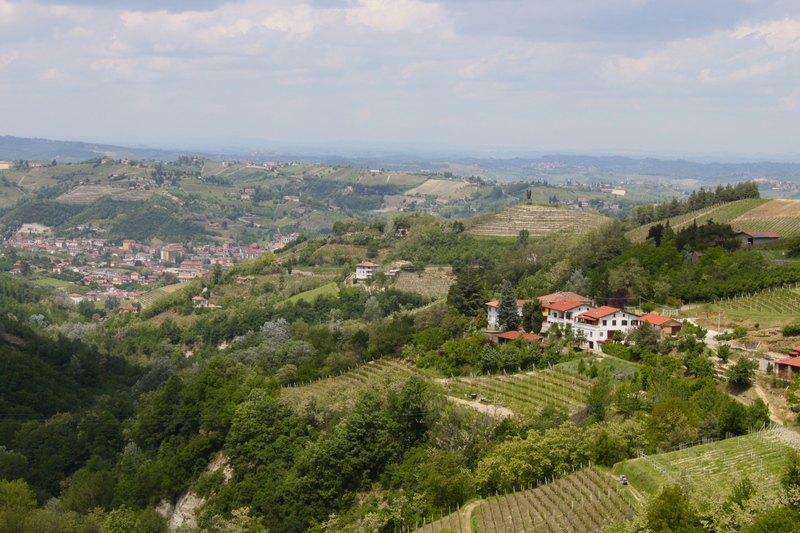 Piedmont’s grape king, nebbiolo, may be in the Langhe, but it is in Monferrato where the court resides; the prince and princess, barbera and moscato, with their main residences in Asti, are equally delicious in Alessandria and around Acqui Terme. Then there’s the rest of the court, and this is where the real fun begins: Grapes like freisa, ruché, grignolino, uvalino, brachetto, and gamba di pernice. Sub-regions may specialize in one or several of these unique grapes, with many being made exclusively by a handful of winemakers, and the majority rarely seen outside this corner of Piedmont. We’ll look at a few of them here. Moscato and barbera may reign, but it’s these multitudes of obscure and fascinating grape varieties that really keep wine geeks coming back for more. Remember what it was like when you first started learning about wine? Absolutely fascinating and overwhelming at the same time. All those grape varieties to remember, all those places to wrap your tongue around! 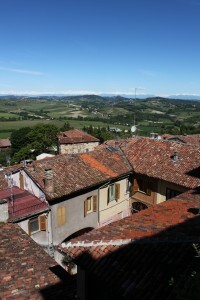 Understanding Monferrato is like starting over again. As complicated as Barolo and Barbaresco’s multitude of microclimates can be, multiply that by ten when trying to commit Monferrato to memory. Why shouldn’t this fact scare you? Because Monferrato is a beautiful, hospitable, and ultra-historic wine region. Its endless hills, just a stone’s throw north and east of the well-known Langhe, produce two thirds of all of Piedmont’s wines. Let’s start nice and easy, in Asti, a province with a capital city of the same name. The most famous wine here is of course the Moscato d’Asti, and there’s good reason for that. The wine industry may squabble over nearly every wine style and production method ever invented, but there is hardly a wine geek who could argue against the simple, sweet fizzy goodness of a chilled Moscato d’Asti on a hot summer’s day. Don’t confuse Moscato d’Asti with Asti (formerly known as Asti Spumante). Asti tends to be mass produced (80% of production is by five major companies who buy in grapes) and makes a drier, fizzier style around 7% alcohol. In contrast, Moscato d’Asti is made on a more artisanal level with many winemakers growing their own grapes. Compared to Asti, it’s slightly sweeter, less carbonated, and only around 5% alcohol. The result is a pretty, aromatic wine for drinking ice cold with a fruity dessert, or knocked back on its own. Top producers include Anna Ghione, Bera, Pianbello, and Enrico Cerutti (see below for wine recommendations). One small producer worth putting on your radar is Marco Bianco. Young, forward-thinking partners Riccardo and Maria Bianco are ever-so-quietly shaking things up in the world of Moscato d’Asti , proving that there’s more to the this aromatic grape than meets the eye. The Biancos make sparkling and still, sweet and dry wines from their organically farmed vineyards in Santo Stefano Belbo. The vineyards have been in Riccardo’s family for nearly 180 years. Their pre-phylloxera ‘Diamond’ vineyard is a staggering 175 years old and, incredibly, still produces fruit. Itsciabòts, or small stone shelters, were used to hide Turin Jews during World War II, saving countless lives. Unlike most Moscato d’Asti, Marco Bianco is made for aging. The 2008 Bianco “Crivello” is a deep gold and dripping in roasted chestnuts and burnt sugar, butter, cooked apples and lemon curd. It is still incredibly fresh with many years left in it (the stunning 1999 has won numerous awards and is still going strong). The more jovial “Meramentae” is also worth getting you hands on (see below). Perhaps tied with Moscato in terms of regional fame, the ruby colored Barbera d’Asti, known for its intensely jammy, floral, balsamic characters, is the kind of food-friendly wine perfect to have around the house during the winter. The more robust, oaked, age worthy version is called Asti Superiore. The barbera grape occupies 35% of all of Piedmont’s vineyards making it the region’s most planted grape. Cascina Castlet’s version is a great intro to Asti’s style of barbera, with a likeable grape jelly and raspberry fruit nose and a more rustic, earthy, herby palate with plenty of freshness and a decent grip of tannin. 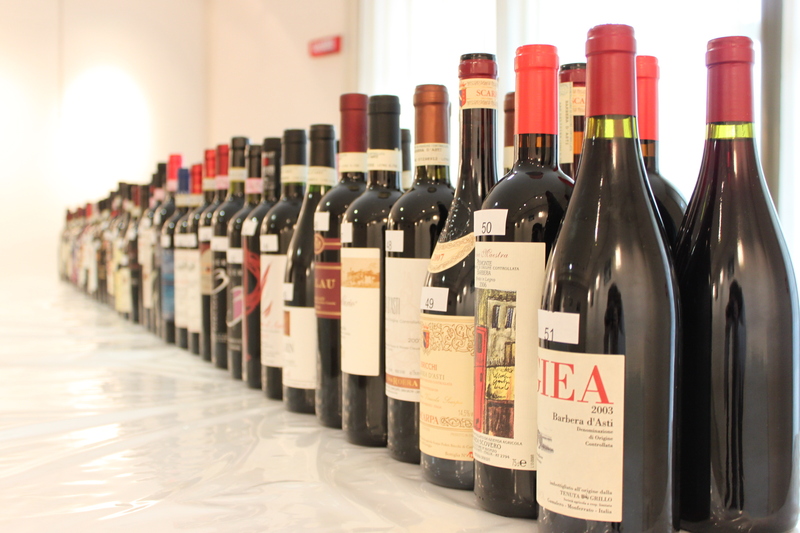 Other names to watch for: Cascina del Frate, Tenuta Ronzano, Carussin, Villa Fiorita, Gozzelino, Andrea Scovero, and Cascina Vigna. See below for more barbera recommendations. Moving from a well-trodden path to one barely explored, the sheer diversity of indigenous grape varieties in Monferrato is staggering. Let’s explore just a few. Possibly one of the most under-rated is grignolino, once drunk by royalty and therefore highly prized, but now made by a mere 60 producers passionate about reviving it. Found mainly around Casale Monferrato in Alessandria, Grignolino is the color of a dark rosé (although don’t dare call it that), and it smells like crushed berries, mountain flowers, herbs, and white pepper. But its delicate nose belies its power on the palate. Mouth-cleansing acidity and those tightly wound tannins (naturally occurring; grignolino almost never sees oak) are surprisingly intense, making this paradoxical wine exceptionally food friendly, perfect for salami, smoked fish, and medium-aged cheeses. Top producers include Oreste Buzio, Gaudio, and Vicara. Then there’s the often sweet and/or sparkling freisa, found throughout Monferrato. Its big tannic structure gives it a bittersweet sensation that’s either loved or loathed, but in the right hands and in its dry form, freisa’s rustic approachability is well worth seeking out (see below for wine recommendation). Gamba di Pernice is another grape worth getting to know. Wine grower Valter Bosticardo was one of the first people to get the Gamba di Pernice grape recognized, fighting for years to make his Calosso zone a DOC for the grape. He makes wine under the label Tenuta dei Fiori. Valter’s 2007 Gamba di Pernice is peppery and earthy with notes of tobacco leaf, drying black cherries and currents. There’s great acidity, and tannins are structured but not grippy. They “run through your mouth like a river, without holding tight,” as Valter so eloquently puts it. These wild and wonderful native grape varieties just scratch the surface of the exceptional diversity of this less-famed-but-equally-fascinating Piemontese wine region. In this increasingly homogenized world of wine, where indigenous grapes are being ripped up in place of more fashionable ones, Monferrato’s myriad grapes and styles, and the passionate people behind their survival, is a thing to be cherished. The Marco Bianco team believes Moscato d’Asti can be as complex and age worthy as the best of the world’s fizz, and this bright yellow bubbly is a good indication they may be right. It’s showing a few years of age with an intensely perfumed nose of candied apricots, honey, and banana bread, and a rich round texture with a slight bit of sweetness sneaking in. Don’t be fooled though, this baby is drier than expected, and finishes with a zing of fresh cut hay and herbs. The best wines transport you to the place where they were made and this little number just does that. It’s got a hopelessly pretty perfume of acacia flowers, lime leaves and Mediterranean herbs, with that honey-like texture. But it’s also dainty with just a lick of sweetness, and a wonderful lemon-lime popsicle finish. A lovely floral, perfumed style of barbera full of ripe raspberry fruit, and a stony minerality. With well-integrated tannins and acidity, there’s a delicacy here often lacking in other barberas. A brilliant example of what a seriously age worthy barbera can do. It’s all crunchy red fruits and orange peel, stony minerality, and some salinity. It’s wonderfully in balance, still super fresh and focused with a salty finish and elegant tannins. This guy could keep going for another 25 years. Guido and Igiea Zampaglione are working with an extremely “hands-off” philosophy from vineyards to winery. The result of this very artisanal approach is wines with complex, oxidative qualities beyond simple sweet fruit and oak. Even in a notoriously hot vintage like 2003, Guido’s barbera avoids over ripeness. Instead, the terroir shines through along with some meaty, leathery notes, drying red fruits and something vegetal. It’s complex and yet ultra gluggable, with a savory finish and tannins and acidity still going strong. There’s life in this beauty yet. Freisa can be simple, fizzy, and sweet. Luckily this version is none of those things. Rustic and elusive, this deep pink-colored red reveals violets, pepper, drying raspberries, and Mediterranean herbs to those who give it due attention. It would be perfect in autumn or summer, slightly chilled with charcuterie. This red sparkler, produced near Acqui Terme in Alessandria, comes in at a gluggable 7% alcohol. It’s bright red in color, and is extremely aromatic with notes of rose petals and cherry sweets. Off dry in style, its tannic grip and fantastic acidity counteract the sweetness beautifully, making this pretty, floral bubbly a super match with strawberry or almond desserts.